Dr Radha Ivory is a Lecturer in Law at the University of Queensland, Australia (UQ). She teaches company law and researches problems at the intersection of criminal law, public international law, and corporate governance. A revised version of her PhD thesis (University of Basel, 2012) was published as Corruption, Asset Recovery, and the Protection of Property in Public International Law: The Human Rights of Bad Guys (Cambridge University Press, 2014). Current projects include studies of the emergence and scope of corporate criminal liability regimes and the transnational legal theory of corruption controls. A regular speaker at international conferences and meetings, Radha has delivered presentations at the London School of Economics and Political Science, the University of Melbourne, and the Wharton School, University of Pennsylvania. Prior to commencing at UQ, she worked in the international sector in Switzerland and in private practice in Brisbane. The Human Rights of Bad Guys Radha Ivory researches problems at the intersection of transnational criminal law, international human rights law, and global governance. She seeks to understand the impact of globalised economic crime controls on individuals, companies, and communities. 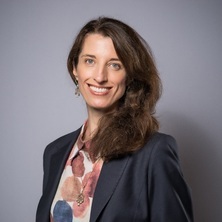 Her work focuses on tensions between efforts to combat corruption and protect fundamental human entitlements in asset recovery and corporate anti-bribery regimes. Through publications and presentation, she contributes to international policy debates that are key to Australia’s place in a changing world. Ivory, Radha (2019). Article 54: Mechanisms for recovery of property through international cooperation in confiscation. In Cecily Rose, Michael Kubiciel and Oliver Landwehr (Ed. ), The United Nations Convention Against Corruption: a commentary (pp. 549-557) New York, NY, United States: Oxford University Press. Ivory, Radha (2019). Article 55: International cooperation for the purposes of confiscation. In Cecily Rose, Michael Kubiciel and Oliver Landwehr (Ed. ), The United Nations Convention against Corruption: a commentary (pp. 558-564) New York, NY, United States: Oxford University Press. Ivory, Radha Corruption, asset recovery, and the protection of property in public international law: the human rights of bad guys. Cambridge, United Kingdom: Cambridge University Press, 2014. Radha welcomes a range of projects on international or domestic anti-corruption, counter-terrorist financing, and business and human rights regimes. Corporate criminal liability : emergence, convergence, and risk. Edited by Mark Pieth and Radha Ivory Dordrecht: Springer, 2011. Countering terrorist financing : the practitioner's point of view. Edited by Mark Pieth, Daniel Thelesklaf and Radha Ivory Bern, Germany: Peter Lang, 2009. Ivory, Radha and John, Anna (2018). Country Report: Australia. In Sabine Gless and Sylwia Broniszewska-Emdin (Ed. ), Prosecuting corporations for violations of international criminal law: jurisdictional issues (pp. 81-112) Antwerp, Belgium: Maklu. Ivory, Radha (2017). Asset recovery in four dimensions: returning wealth to victim countries as a challenge for global governance. In K. Ligeti and M. Simonato (Ed. ), Chasing criminal money: challenges and perspectives on asset recovery in the EU (pp. 175-210) London, United Kingdom: Hart. Pieth, Mark and Ivory, Radha (2014). Surgimento e convergência: visão geral dos princípios da responsabilidade penal da pessoa jurídica. In Fauzi Hassan Choukr, Maria Fernanda Loureiro and John Vervaele (Ed. ), Aspectos contemporâneos da responsabilidade penal da pessoa jurídica (pp. 19-101) São Paulo, Brazil: FecomercioSP. Ivory, Radha (2009). Recovering terrorist assets in the United Kingdom: the"domestication" of international standards on counter-terrorist financing. In Mark Pieth, Daniel Thelesklaf and Radha Ivory (Ed. ), Countering terrorist financing : the practitioner's point of view (pp. 243-276) Bern, Germany: Peter Lang. Pieth, Mark, Thelesklaf, Daniel and Ivory, Radha (2009). The international counter-terrorist financing regime at the cross-roads. In Mark Pieth, Daniel Thelesklaf and Radha Ivory (Ed. ), Countering terrorist financing : the practitioner's point of view (pp. 277-283) Bern, Germany: Peter Lang. Ivory, Radha and John, Anna (2017) Holding companies responsible? The criminal liability of Australian corporations for extraterritorial human rights violations. University of New South Wales Law Journal, 40 3: 1175-1199. Ivory, Radha (2017). Asset Recovery in Four Dimensions: Returning Wealth to Victim Countries as a Challenge for Global Governance. In: Ligeti, K. and Simonato, M., Chasing Criminal Money: Challenges and Perspectives On Asset Recovery in the EU. International Conference on Chasing Criminal Money in the EU - New Tools and Practices, Luxembourg, Luxembourg, (175-210). 15-16 June 2015. Ivory, Radha (2014). Transparency and opacity in the United Nations Convention Against Corruption. In: Alberto Castro, Buen Gobierno Y Derechos Humanos: Nuevas Perspectivas En El Derecho Publico Para Fortelecer La Legitimidad Democratica De La Administracion Publica en el Peru. International Conference on Good Governance and Human Rights: new perspectives in public law to strengthen the democratic legitimacy of public administration in Peru, Lima, Peru, (147-167). 5 December 2012.